Brewery tours are amazing. Not only do they come with free beer samples (yay), they also allow people to see the behind-the-scenes of a brewery where beer (sometimes craft beer) is made. Who would not be interested in learning about how their favourite beer is made? If you live in Wisconsin and are wondering who offers the best brewery tour, you have come to the right place. 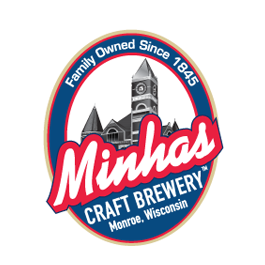 As you might know already, there are a few breweries in Wisconsin — among them one of the oldest micro-breweries in the USA, the Minhas Craft Brewery. Not only do we have plenty of cool stories to tell you, we also have plenty of free product samples to give you. Our brewery is often hailed as one of the best in America and our products have caught the attention of people from all over the country. If you like beer but have never been fortunate enough to try craft beer, then next time you find yourself in Wisconsin, bring some friends along and come have a good time at the Minhas Craft Brewery! What is a Wisconsin Micro-Brewery?